Tokyo, Japan — After spending a few days in Kyoto, I decided to take an overnight bus to Tokyo. The bus ride is approximately seven hours, but I personally would not recommend the overnight buses due to the substandard quality of sleep during the trip. Compared to other cities in Japan, Tokyo was modern and densely populated. 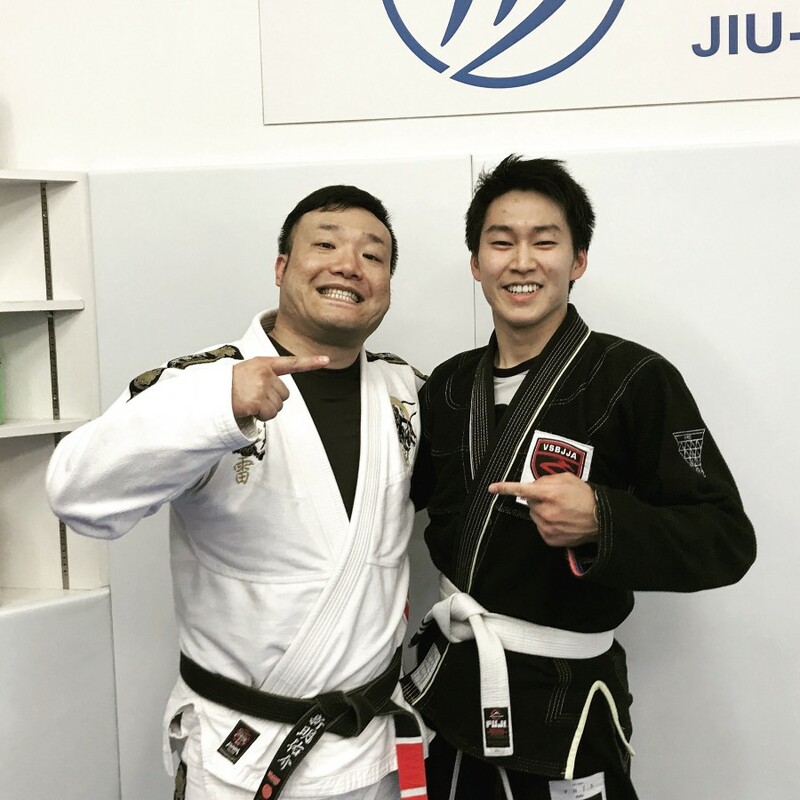 Because of my pleasant experiences with Tri-Force Osaka, I decided to train at two gyms under the Tri-Force Jiu-Jitsu Academy’s flag in Tokyo. Tokyo, Japan’s capital, is the most populated city in the world. The city is known for its famous nightlife, shopping, and culture. 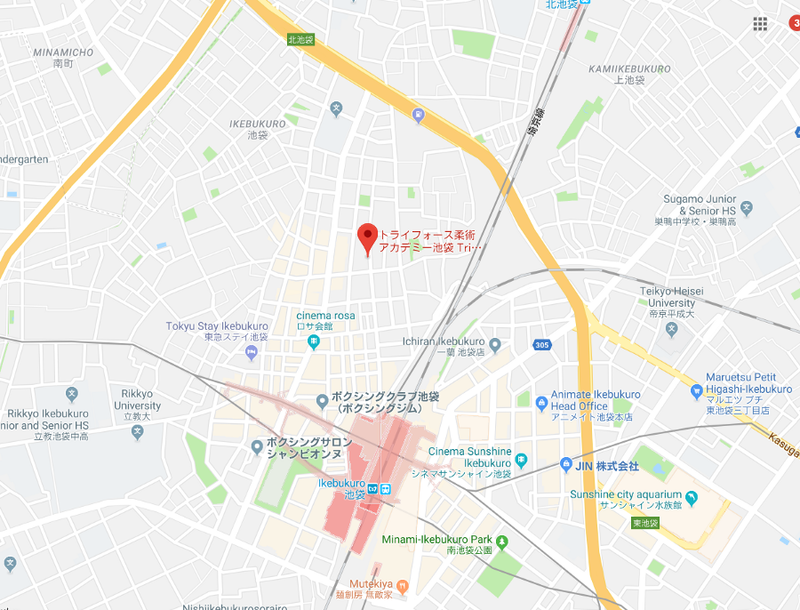 Whether you are shopping for your wardrobe in Ginza or for electronics and anime in Akihabara, Tokyo provides you with an unlimited offering to fulfill your shopping spree. Then, you could head out to enjoy Japanese night life in Roppongi or Shinjuku filled with karaokes, izakayas, and clubs. Two weeks I spent in Tokyo were not sufficient to appreciate everything that Tokyo has to offer. Tri-Force Ikebukuro is the headqurter of four Tri-Force Jiu-Jitsu Academy affiliates in Japan. I had the chance to train at two academies under the Tri-Force Jiu-Jitsu Academy’s banner in Tokyo. 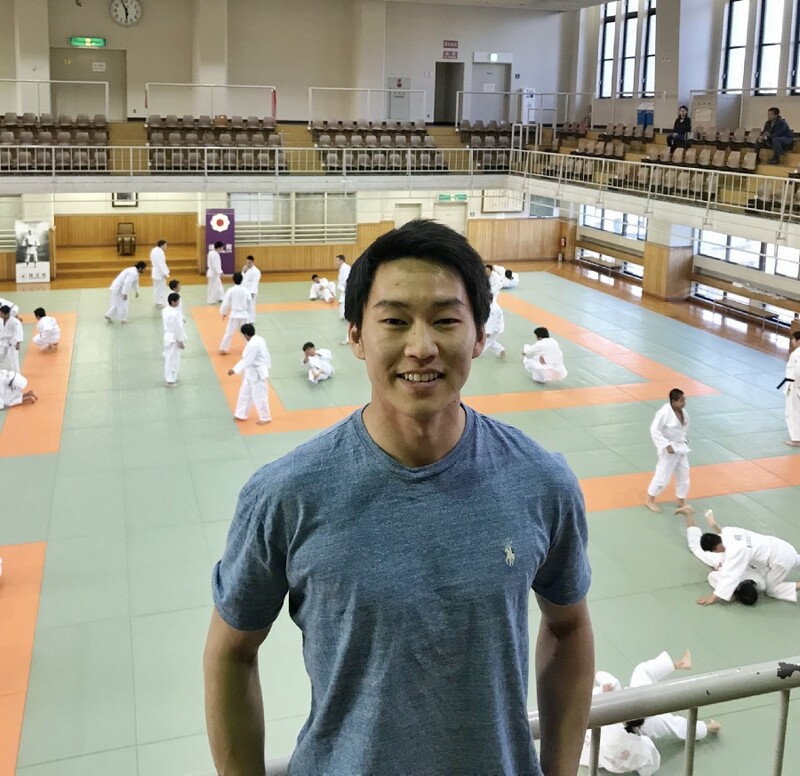 Unlike previously visited gyms in Japan, Tri-Force Academy focuses solely on BJJ Gi classes, and it did not offer striking or other MMA related classes. Similar to Tri-Force Osaka, a few expat students spoke fluent English, but the majority of students did not. 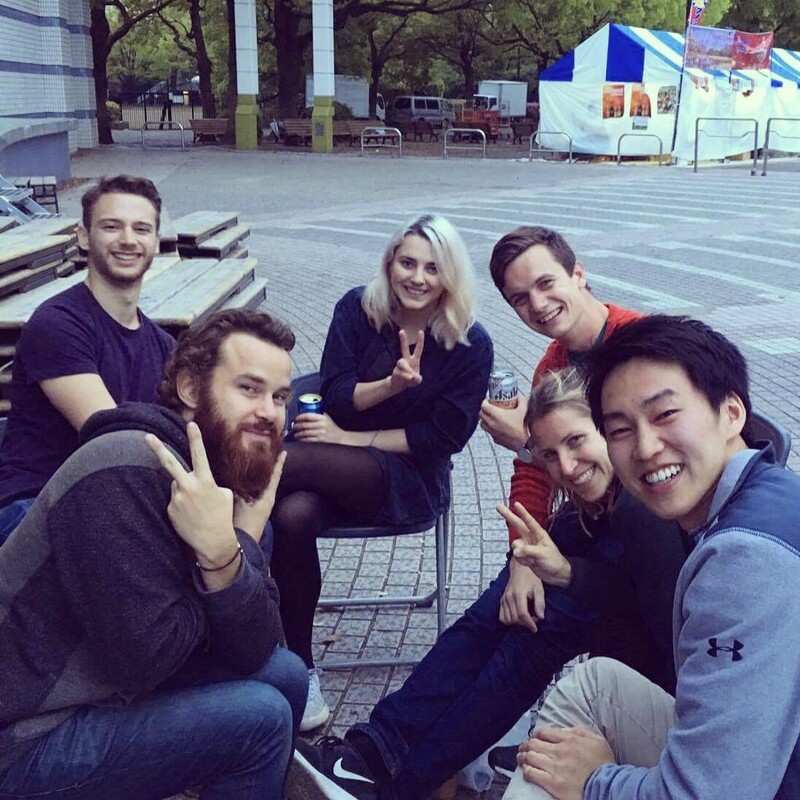 As mentioned in the previous posts, the language barrier in Japan did not hinder me from participating and training with Tri-Force Academy, although, from time to time, it was challenging to understand minor details of a technique. Tri-Force Academy’s lessons mainly focused on related techniques that could be varied from the same guard position. Every class began with a 20 second meditation followed by a regular BJJ warm-up. Then, an instructor presented three to four related techniques of the day, and students drilled with their partners for five minutes per technique. During my time at Tri-Force, we focused on various sweeps from a closed guard position. As the headquarter of Tri-Force Academy was established in 2004, the presence of black belts per classes was noticeable. Among all the classes I attended, there were at least three black belts training out of the average class size of 20. 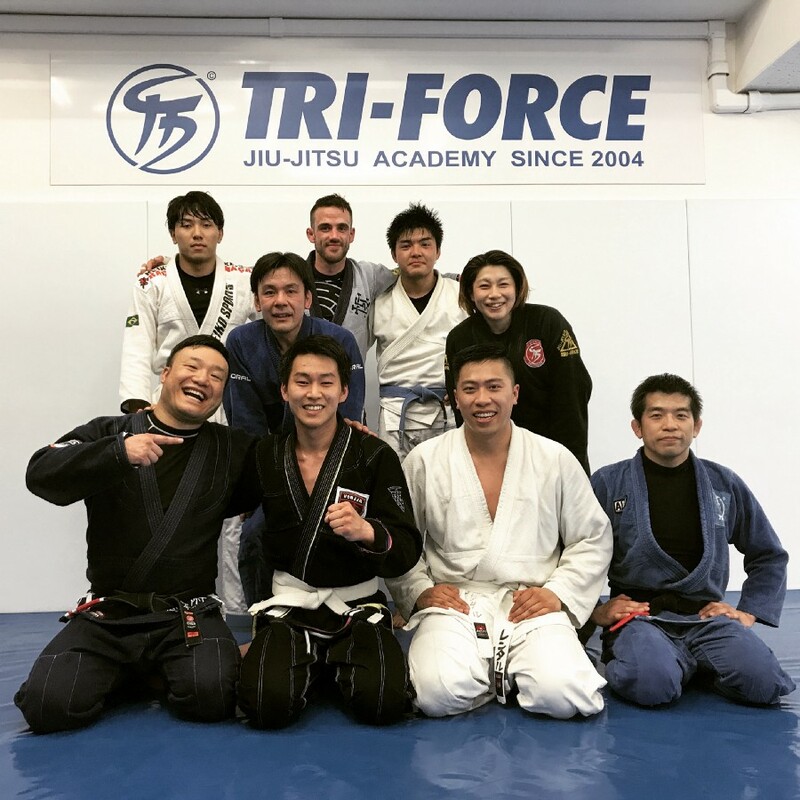 I believe that Tri-Force Academy is highly beneficial for your BJJ training journey if you have an energy to train after shopping and consuming unforgettable Japanese cuisines in Tokyo. 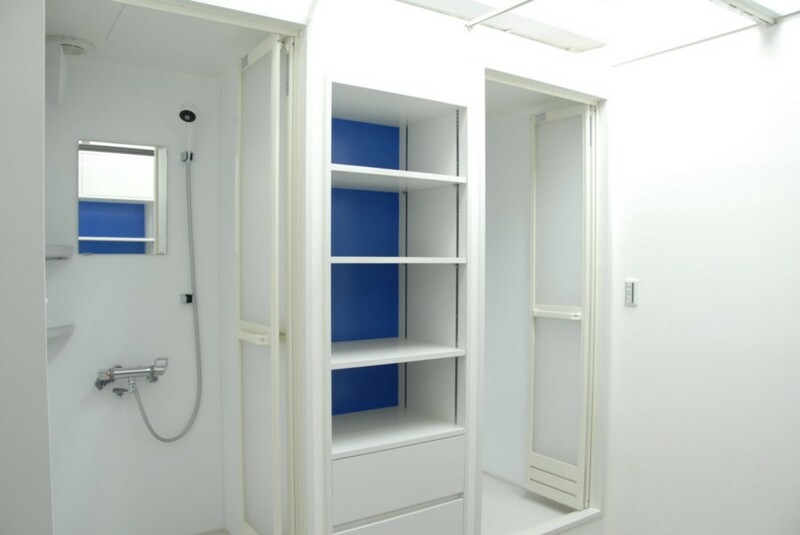 Tri-Force Ikebukuro’s facility includes an immaculate mat space, locker rooms for men and women, and showers equipped with shampoo and body soap. Unfortunately, this gym does not include weights training areas. 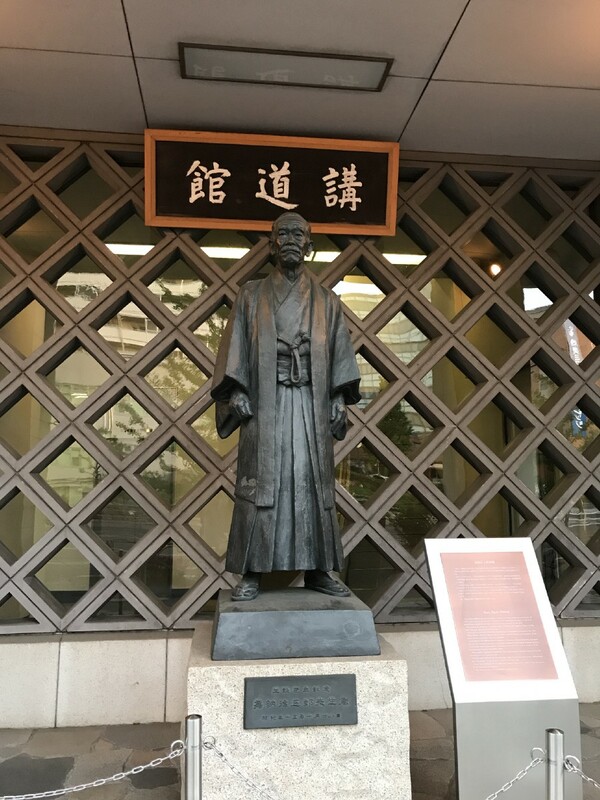 Kodokan Judo Institute — It is the headquarter of the worldwide Judo community. The eight story building includes a museum, housing, and training facilities for Judokas. 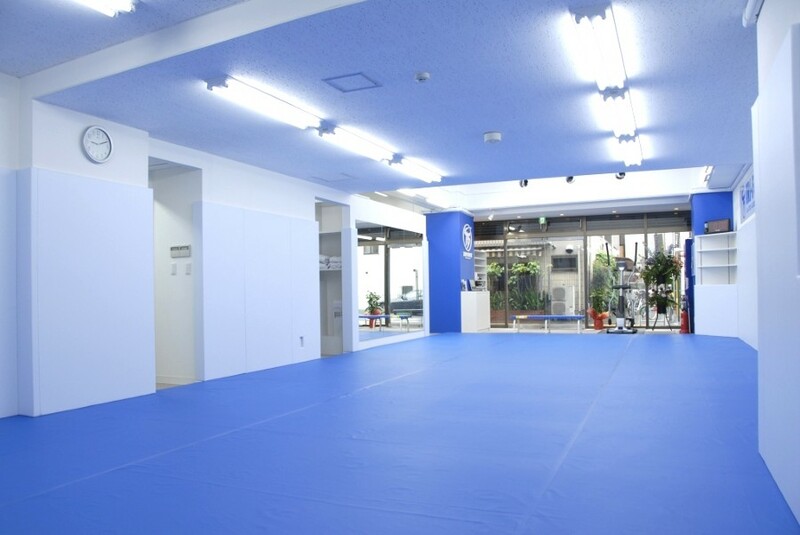 Kodokan is open to public for Judo classes if you are interested in participating. Mt. 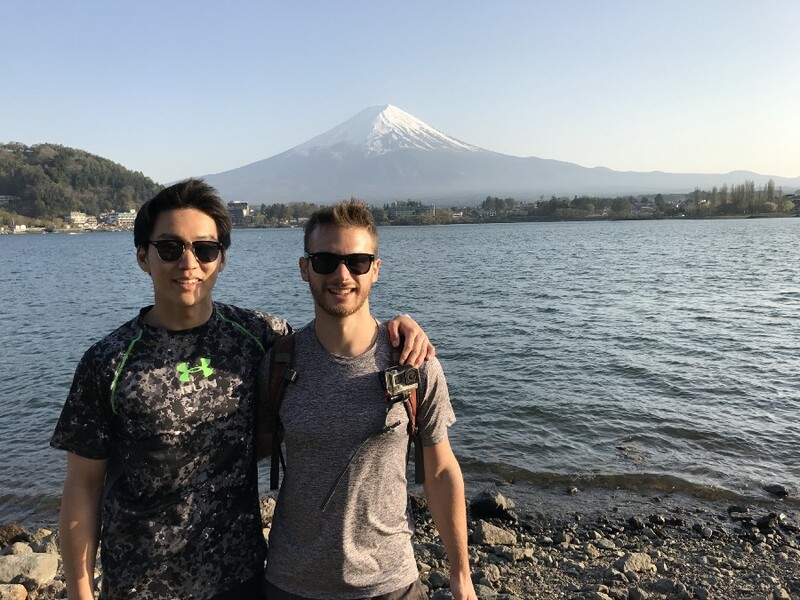 Fuji — The famous Mt. 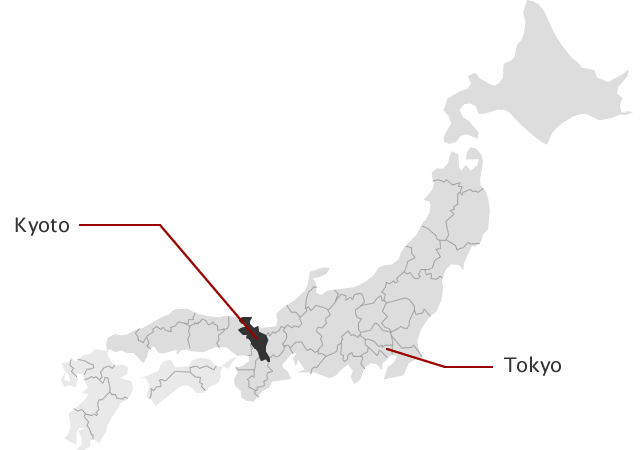 Fuji is located about 130km (approximately 80miles) west of Tokyo. You can take a highway bus from Shinjuku to Mt. Fuji. The trip costs ¥2,700 (~$25 USD) and takes 2.5 hours. You can only climb Mt. 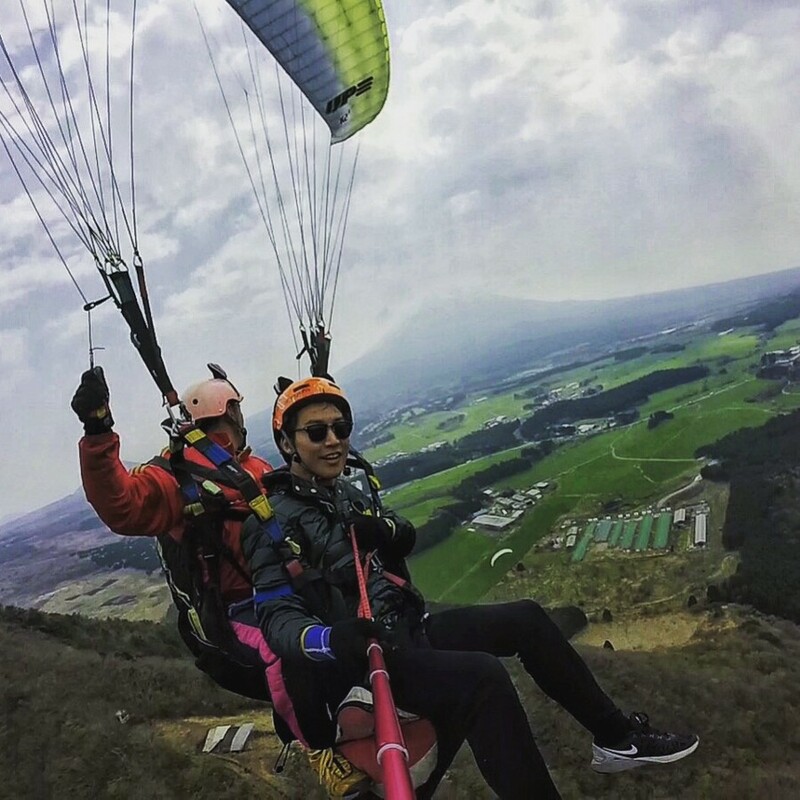 Fuji during the climbing season (July to September), but you can still enjoy the magnificent view of Mt. Fuji while trekking or biking around Lake Kawaguchiko, one of the Fuji Five Lakes. Shibuya (Meiji Shrine / Harajuku) — In Shibuya, the Meiji shrine dedicated to Emperor Meiji is surrounded by Yoyogi park which creates an extensive park in the futuristic city. The park is adjacent to Harajuku which is known for its fashion and art scenes. Ryōgoku Kokugikan — Sumo is a national sport of Japan. There are six tournaments every year: Three in Tokyo (January, May and September), one each in Osaka (March), Nagoya (July) and Fukuoka (November) which lasts 15 days per tournament. 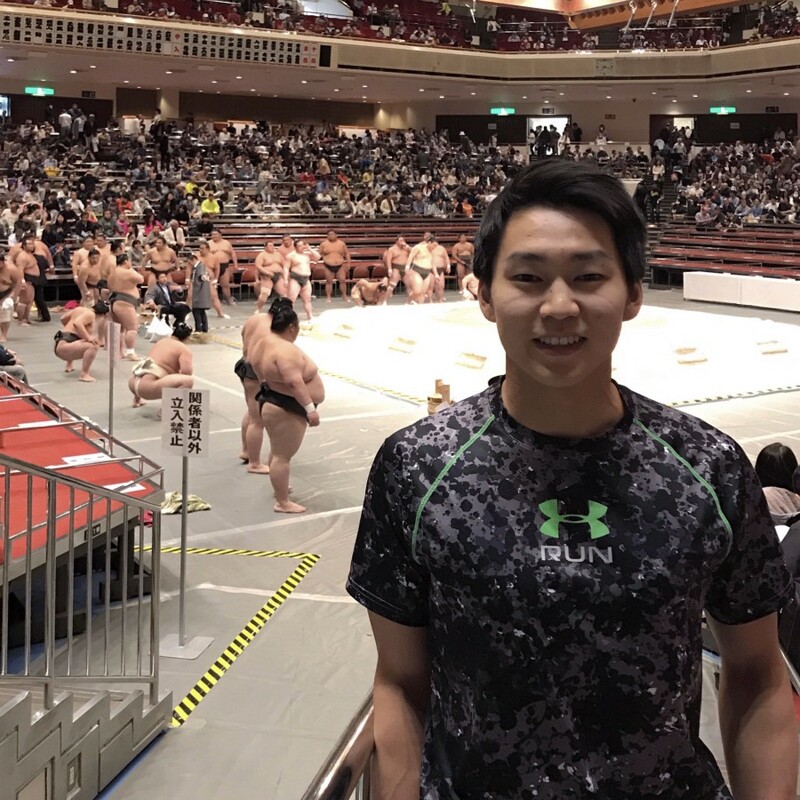 If you happen to be in Tokyo during this time, I would highly recommend submerging yourself in a classic Japanese sumo match. Nightlife (Roppongi & Shinjuku) — Roppongi and Shinjuku are the most well-known night life districts in Tokyo with bars and clubs catered to different styles and preferences. Prepare to stay out all night as the public transportation stops operating around midnight and taxis are extremely expensive.